BEIJING (Sputnik) — On Saturday, Pyongyang launched a suspected intermediate-range ballistic missile from a site north of the country's capital. Japan, South Korea and the United States said the test appeared to have failed as the missile broke up within North Korean territory. On the same day, the South Korean Navy said that it has started naval military drills with the US forces involving the USS Carl Vinson aircraft carrier. “We [Russia and China] both understand a number of things that seem absolutely essential to us – that the military solution of North Korean problem is impossible. Only the diplomatic policy is appropriate,” Denisov said at the meeting with reporters. Moscow and Beijing will never support Pyongyang's nuclear program, Denisov stressed. “We strongly condemn it [North Korea’s nuclear program] because it is not only a direct threat to us, but also because it provokes the Americans to a certain extent to ramp up their so-called defensive capacities, which in reality have an offensive potential, ” the ambassador added. The Chinese side is especially worried by the ongoing deployment of the United States’ anti-ballistic missile system in South Korea, called the Terminal High Altitude Area Defense (THAAD), Denisov underlined. “They [Beijing] strongly oppose the plans of deployment of the US antimissile system THAAD, which have already started to realize,” the Russian ambassador said. 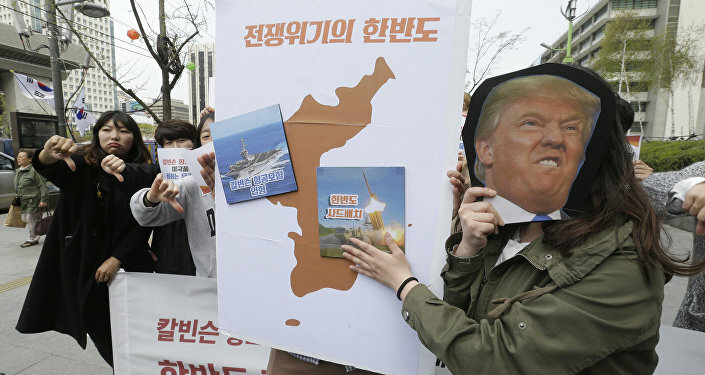 The situation on the Korean peninsula aggravated since North Korea carried out a number of missile launches and nuclear tests. In July 2016, Seoul and Washington reached an agreement to deploy THAAD in South Korea amid growing tensions with North Korea. China and Russia have criticized the decision, calling it inappropriate, possibly disproportionate and likely to affect the interests of other nations. South Korea's Yonhap news agency reported on Wednesday that construction of the system had begun in Seongju County despite protests from residents. 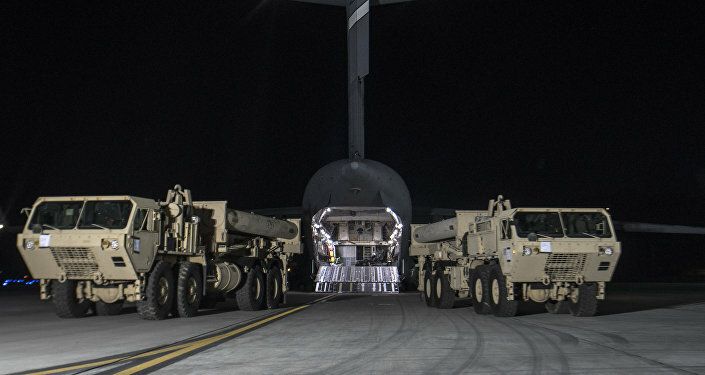 The THAAD system has a range of some 200 kilometers (125 miles) and is designed to intercept short, medium and intermediate ballistic missiles at the terminal incoming stage.